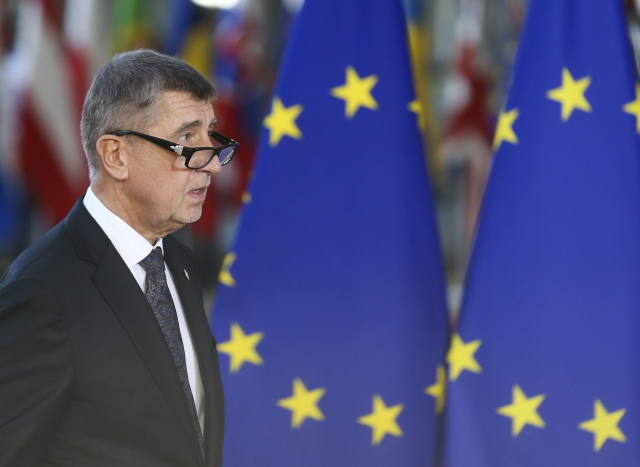 The Czech PM Andrej Babiš (ANO), according to several sources from the Government, is thinking about the Czech Republic giving up its upcoming European Union presidency spot in the second half of 2022. The reasons given were the alleged high costs of the entire event. In his reaction for Deník N, Babiš said that he was not thinking about that. The Prime Minister presented his idea to the ministers on Monday before the government meeting. This was confirmed to Deník N by a total of five Ministers from ČSSD and ANO parties. The cabinet was about to speak about providing the EU presidency and which sort of financial and personnel requirements would be involved. This topic was taken off the meeting. „The PM called it a talking shop with sandwiches, which is too expensive, costs too much and he does not see any benefits in it,“ described to Deník N one of the cabinet members. „He was met with incomprehension and the matter will be discussed further. But even this complicates the preparations, for instance for the Ministry of Foreign Affairs, which is to ensure spaces to rent in advance and more things,“ the person added, saying that the preparations time schedule and the communication strategy were to be finished by the end of October, but are still non-existing. „The Prime Minister announced before the meeting that this would cost lower billions of CZK for three years and that it was necessary to save as much money as possible,“ another Minister said to Deník N.
„This was discussed during preparations prior to the government meeting on Monday,“ confirmed to Deník N a third source from the government. „This is true, there was talk about this re effectiveness and costs,“ another one acknowledged. Other sources talk about the fact the PM’s intention would be discussed again, the final decision was to be made in April. Babiš also spoke about the reportedly high costs of the presidency with ambassadors from Member states in Prague yesterday. „I said that the presidency was expensive. In 2009, it cost us CZK 3.45 billion Crowns and ODS had a deal pro ProMoPro. There was no talk about giving up the presidency,“ the PM said to Deník N about the meeting with EU diplomats. „I just claimed that a presidency for CZK 3.45 billion was a big price. I am not thinking about it, though, The Czech Republic will preside the EU, of course,“ PM Babiš added after more questions. Věra Jourová, the Czech European Commissioner for Justice, nominated by ANO, indirectly confirmed Babiš’s objective for Deník N. „I don’t know much about that, I wasn’t there, but it could have been a reaction to the financial demands the EU presidency’s organisation requires,“ Jourová said. Some ministries have already been preparing arguments for why the Czech Republic should not be giving up the presidency. Several sources from the government and the Prague Castle are afraid that such a move would be a disgrace from Prague. „It is a highly prestigious event, because the country is in charge of the EU life. For instance the Bratislava Summit was a breakthrough,“ added the European Commissioner Jourová. The historically first EU presidency of the Czech Republic took place in the first half of 2009. The Czechs were dealing with the Gaza conflict, or the gas crisis in Ukraine, among other things, at the time. In March 2009 however, Mirek Topolánek’s government collapsed and for the half-year rest of its original term, the country was under the Jan Fischer’s caretaker government. The presidency’s costs were accompanied with the controversial ProMoPro sound service deal. The UK was the first to relinquish its EU presidency. But the reason for that was the upcoming Brexit. The Brits were to preside the EU in the second six months of 2017. In connection with the Czech presidency, there was talk even earlier about the Government Office being left by important officials dealing with European issues. Apart from the State Secretary for European Affairs Aleš Chmelař, the European Section was left in September 2018 by Jan Král and Marek Souček, who were in charge of the migration and business policies. This information was brought by Hospodářské noviny. As the Government’s Website says, the Czech EU presidency of 2022, the preparation and execution of the Czech Republic’s presidency in the Council of the European Union is being headed by the PM through the Czech Government Office’s Section for European Affairs. All of the Czech Republic’s Ministries are preparing for the Czech 2022 EU presidency, especially the Foreign Affairs Ministry and its Permanent Representation of the Czech Republic to the EU in Brussels.